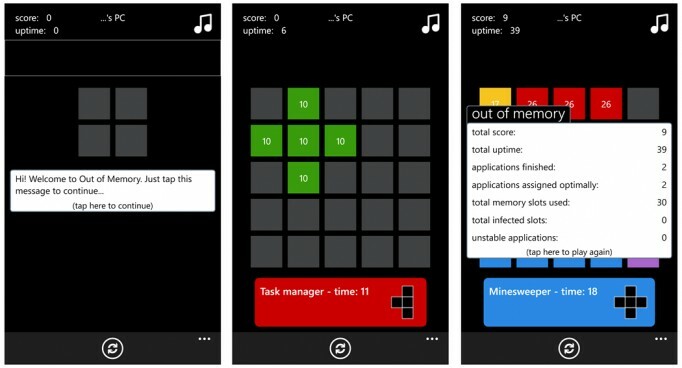 Out Of Memory is a puzzle game for Windows Phone 8. It is a strategy oriented game. With it players manage computer memory. They have to allocate memory to different computer programs. The goal of Out of Memory is to manage the computer memory for the longest period possible. Out of Memory is simple but packed with challenge. In Out of Memory there are several program types. They will influence the memory in a different way. Gaming is exciting. For novices there are tutorial screens. So beginners can be introduced to Out of Memory in an easy way. Then the gaming starts. Whenever a player needs refreshment with the tutorial, they can launch it again. That can be done from the area up under the three dot menu. The grid of the game is five by five. It represents the computer memory. At every few seconds, players see a program appear at the screen bottom. The program has to be inserted in the memory grid. The program runs on the grid in the course of a short period. Then it closes. There is room free for another program. The goal of Out of Memory is to insert and run the largest number of programs possible. That has to be done without running out of memory. When players need to insert programs, they just need to tap on the neighboring memory grids. Another way is to drag the finger across the grid. Different programs impact the memory in different ways. For example, there is the standard program. There is also an unstable program which does not stay in one place. It moves around the grid. There is also a corrupt program which expands on the grid. These programs can be restricted with the help of the standard programs. Gamers can boast on the online leaderboard. 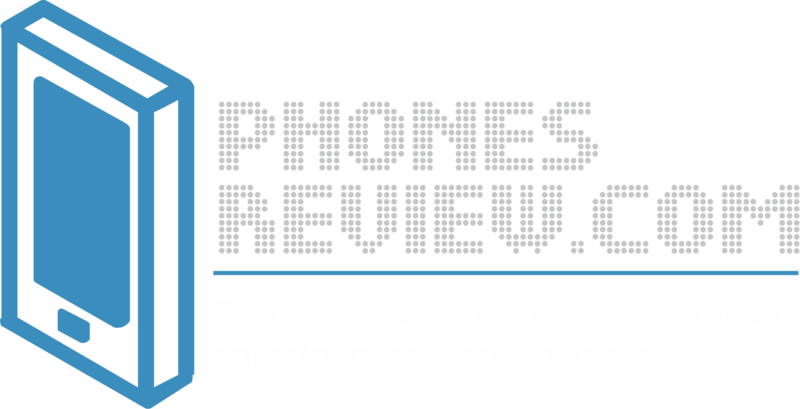 There is also support for dark and light Windows Phone themes. Everyone interested can buy the game from here. Out of Memory can be rid of the ads by in app purchasing.